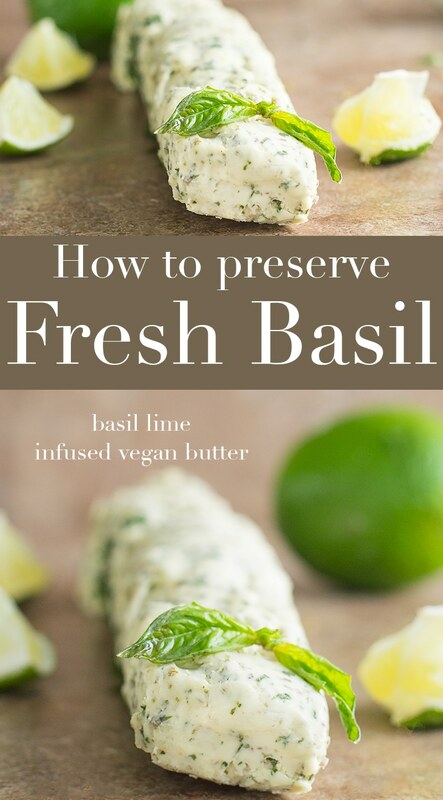 Do you find your fresh basil going limp or about to die? You spent a fortune on it or your friend gave you a whole bunch of it from their garden. You would hate to see it go to waste. 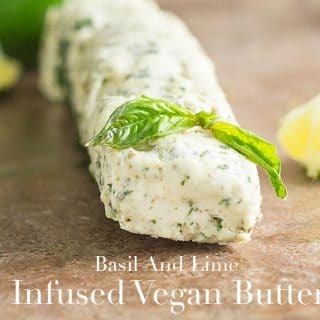 I found that the best way to preserve basil is to infuse it in store bought vegan butter and use it when I need. 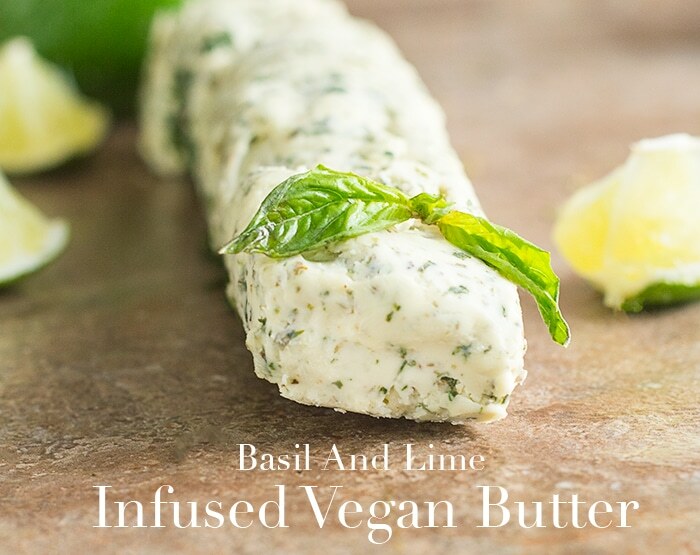 The best part is that this butter will last for months and your recipes will always have the aroma of fresh basil. I bought this recipe for my angel hair pomodoro because basil and tomatoes were meant to be together forever. But, I knew I wasn’t going to be able to use up the whole recipe. “What to do, what to do with all these basil?” I kept asking myself? Then, I remembered that Martha Stewart had a butter recipe using basil and loved it. I took her idea and turned it into a vegan recipe with a few added ingredients. I had the perfect butter recipe ever! 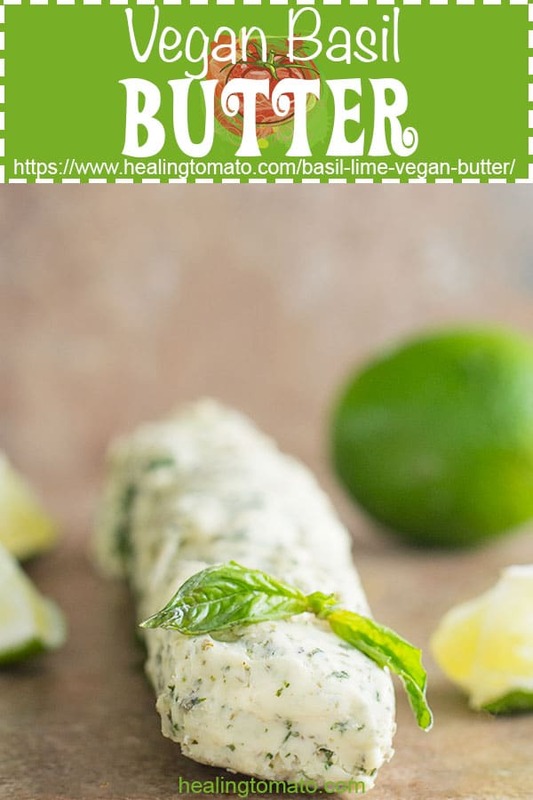 You know that I am a huge fan of Earth Balance’s vegan butter. There is always a stick or two sitting in my fridge. I even used it recently in my colcannon recipe which turned out to be delish! One of the added ingredient was roasted garlic. I always use tons of garlic in my Italian recipes because it wouldn’t be Italian without it. 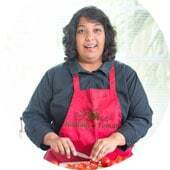 Remember my pizza sauce recipe with tons of garlic? Lime is the real hero in this recipe. It brings all the ingredients together and adds a delicious tang to the butter. Can you imagine how great your pasta recipe will taste because of this lime? Put this in your pasta and I guarantee you that it will be the best pasta recipe you have ever made. 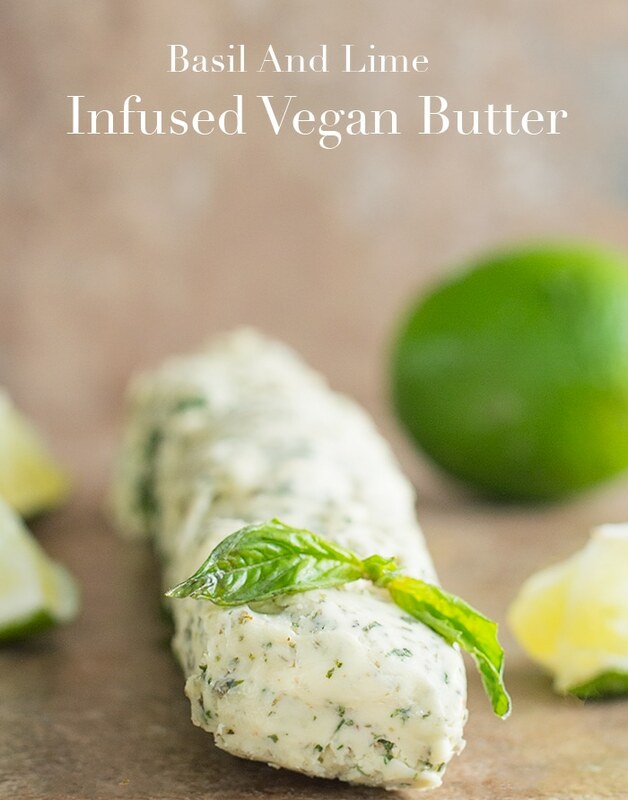 Do you love vegan butter as much as I do? 3) Place the garlic on a baking tray and roast in your mini oven. Roast until they are light brown. Mini ovens are different for everyone, so, choose a lower temperature like 200°. 7) Blend on low speed until everything is blended. It will have a creamy consistency and that’s ok. Personally, I like leaving it in the parchment paper and in the freezer. It is very easy to melt pieces of it when I need it. Looks great! I need to try this for my next party! That sounds amazing! Great flavor combo!